As a husband and father, it sometimes feels like every decision you make can lead to criticism both from yourself and from others around you. 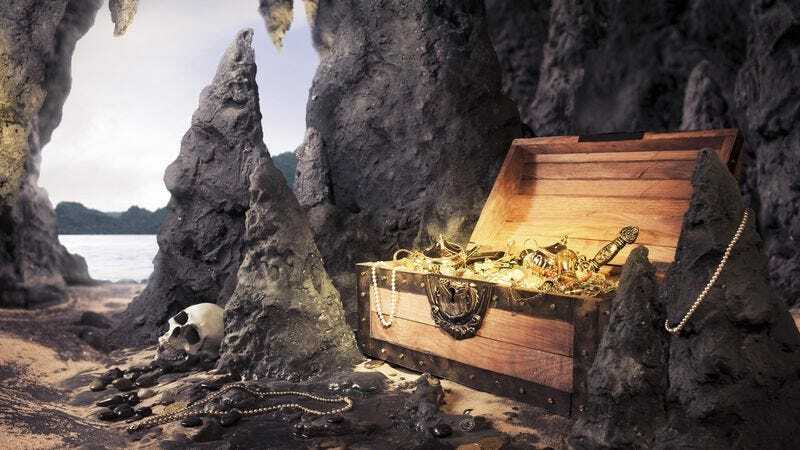 For example, a lot of people said I was crazy when I left my wife and three children to search for buried treasure, but looking back on my decision 30 years later, I’m closer to finding it than I’ve ever been. I’ll admit, when the old woman first sold me the map leading to a buried chest of treasure, I had no idea whether or not I’d really be able to actually find it. Sure, abandoning my family in order to search for it might have seemed like a reckless decision at the time. But now that I’m so close to finding the treasure that I can almost smell the jewels, it all makes sense, doesn’t it? I also feel like many of my critics would be silenced if they understood that this is the best treasure of all time. There isn’t just gold in that chest, wherever it is; there are also rubies in there, and sapphires, and diamonds the size of your fist. And I’m on the verge of finding it all! So, when you try to make me feel embarrassed for abandoning my family to look for the treasure, you’re really only embarrassing yourself. I also feel like many of my critics would be silenced if they understood that this is the best treasure of all time. You see, when you first open the chest containing the treasure, the treasure’s ageless guardian, a man untouched by time, emerges from inside the chest. He stares right into your eyes, and he smiles. Then he flexes his immortal deathless muscles, and wherever his lips touch, the most beautiful lotus flowers grow out of his arms and bloom before your eyes. Witnessing a spectacle so gorgeous is not something you can put a price on. That’s the real treasure. This detail regarding the treasure is confirmed. I heard it straight from the old woman’s mouth 30 years ago. Ultimately, people need to realize that I love my family. I would do anything for them, except sit idly by while a massive hoard of incredible treasure lies somewhere beneath the earth, just waiting to be found. It’s simple common sense. The path to the treasure is becoming clearer to me by the day, and soon I’ll have it. And when I’m running gold doubloons through my fingers and screaming in triumph, what will you have to say about my poor parenting decisions then?